Mars (Action/Drive/Ambition) remains in your 7th House of marriage, career partnerships and legalities throughout the month, Pisces. This brings adventure and energy in these areas of your life. Mercury (Communications/The way you communicate) is retrograde as the month opens slowing down some of the fast paced events of November. As December opens, you find yourself in a fortunate position, despite all the drama, gossip and politics occurring around you. You yearn for a cozy, secure love life and you have made enormous strides in love throughout 2011. Look back to early 2011 and see how far you have come, Pisces. The 7th House also rules areas like the law and open enemies, so be on the lookout for some not so savory individuals who might want to take advantage of your good fortune, Pisces. Don't worry. You will know them when you meet them and your intuition will be spot on accurate. Don't go breaking any hearts, Pisces, and make sure the heart you break is not your own. 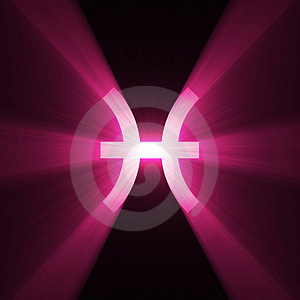 On 12/10, a lunar eclipse occurs in the sign of Gemini and your 4th House of home and family. Eclipses represent beginnings and endings in Astrology. Your 4th House is all about where you live now and where you have lived and will live. You will hear news or an event will occur on or around this date that will involve your living situation. Perhaps, there will be a domestic adjustment or there has been a recent change in your home and family life. The 4th House also rules Mothers and the past so it's entirely possible that you could be dealing with one of these areas throughout December, Pisces. 2012 is all about your ruling planet, Neptune, entering your 1st House. This is a huge deal for you, Pisces, as this planet will function at its maximum capacity and you will benefit from having your planetary ruler in your sign. It gives you the insight and awareness you will need to get through any obstacles that might arise, personal or professional. As you enter 2012, you are entering a # 5 year in Numerology. The # 5 is all about change, diversity and adaptability which you should have no problems with since you have become accustomed to learning how to go with change. You are also a mutable sign which helps you deal with the 5 energy of 2012. Prepare yourself, Pisces. 2012 is all prestige, popularity and power. It's going to be a year of inspiration, recognition from your peers and soaring popularity. The signs of Leo and Aquarius will play unconventional roles in your life this month, Pisces. Happy New Year!